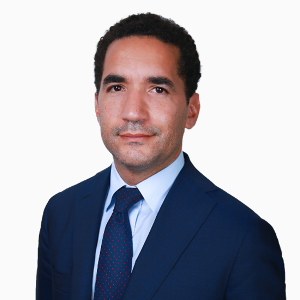 Nayel-Georges Vidal is a Director of Emerging Capital Partners (ECP). Mr. Vidal is responsible for deal selection, structuring, and execution, as well as monitoring of portfolio companies. Mr. Vidal began his career in 1999 at Ernst & Young’s (formerly Arthur Andersen) Paris office, where he became a Senior Manager. He served international clients in retail and consumer products and the telecommunication industries, and worked on a variety of transactions in Europe, the US, and in emerging markets. Mr. Vidal executed various advisory roles within the context of divestments, mergers and acquisitions, and capital market transactions for numerous clients such as Carrefour Group, Pernod-Ricard, Altadis, and Apax Partners. Mr. Vidal graduated from Institut Supérieur de Gestion Graduate School of Management and is an alumnus of Universidad Pontificia de Chile. Mr. Vidal has served on the boards of Veolia Water Maroc (Morocco), OSEAD Maroc Mining (Morocco), Agromed (Tunisia), Société d’Articles Hygiéniques (SAH) (Tunisia), Générale Assurance Méditérranéenne (GAM) (Algeria), Atlas Bottling Company (Algeria), Entreprise Marocaine de Travaux (EMT) and EMTL (Morocco), and Salt Investment (Djibouti). Mr. Vidal is a citizen of France. ECP has raised over $3.2 billion for investment and is a leading private equity manager focused exclusively on Africa. ECP has six offices across Africa and over 17 years of investing experience, having made over 60 investments and 40 exits with operations in over 40 countries on the continent. ECP strives to lift performance and profitability, building sustainable businesses that bring lasting benefits to their communities.